If you need unique floor grilles cut to your own design, our water cutting equipment is capable of cutting your highly detailed designs in brass up to 25mm thickness. 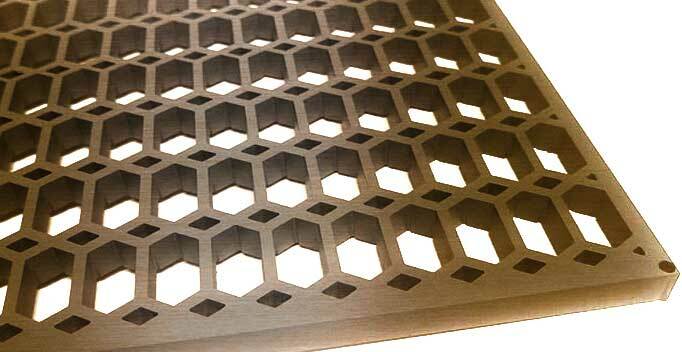 We can take autoCAD designs and precisely reproduce the brass floor grilles of your choice. Our bespoke brass floor grille delivery times will vary depending on our current workload but normally 2-3 weeks for linear grilles and 3-4 weeks for water cut grilles.